In their latest white paper, DE-CIX teams up with TeleGeography to examine the record-breaking traffic surge in submarine cable deployments, peering ecosystems around the world and how the pace of subsea cable development could accelerate even further over the next three years. What is driving all this development? Are fundamental shifts taking place in how networks are deployed? Can we see a correlation between the development of new routes and where networks are ultimately going to peer? 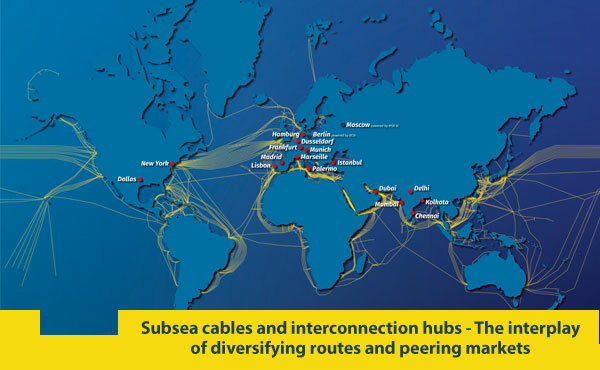 This white paper provides a clearer sense of the critical synergy shared by the subsea cable and peering markets, while exploring the complexity inherent in determining exactly how strongly these markets correlate.